From soup and salad to ice cream topping! It's a challenge trying to make something quick and different every day, especially when it comes to the kids' pambaon. But being creative in the kitchen doesn't always mean additional expenses and too much hard work. 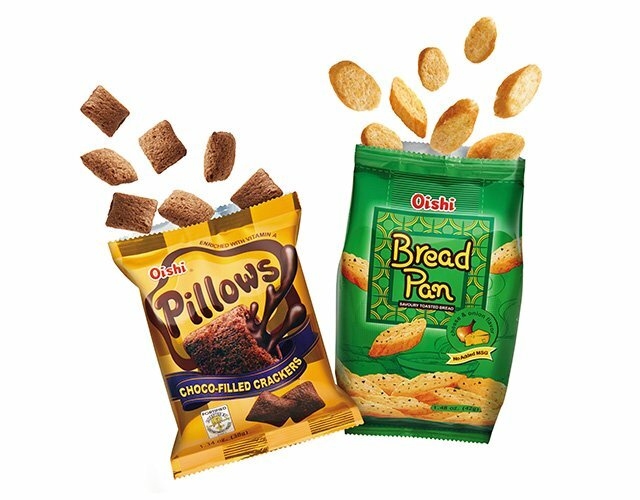 A good choice for snacking are Oishi Bread Pan and Pillows—they're a hit with kids especially for baon. They are rich in flavor, very affordable, and they come in a lot of varieties. Bread Pan comes in Buttered Toast, Cheese and Onion, Toasted Garlic, and Whole Wheat White Cheddar Cheese. Pillows is also available in chocolate and ube-filled crackers. Ice cream and shakes always rank high on everyone's list of favorite desserts. These frozen sweet treats are best enjoyed with toppings, right? Well, with chocolate- and ube-filled Oishi Pillows as part of the glaze, you're sure to indulge your tastebuds even more! Bread Pan comes in different varieties, and will add a subtle kick of extra flavor to simple soups and typical salads. This way, your kids might just learn to appreciate their soups, too! Graham crackers is the failsafe way to go with the classic refrigerator cake. But imagine an extra burst of chocolate! It's a mouthwatering combination that's perfect for dessert and snacks. Nachos are great for snacking and pambaon—quick and easy to make, and customizable in many different ways. Instead of Tortilla chips, you can make use of Bread Pan in any variety to come up with your own version of this popular Mexican dish. Feeling fancy but too lazy? Cheese and Tomato Toasts make a good appetizer. No need to bake anything—you can make use of ready-to-eat star ingredients like Oishi Bread Pan in Buttered Toast. Just line them up in a plate, spread your own cheese-tomato mixture, and you're good to go. Another good idea for everyone's favorite comfort food Baked Mac and Cheese Balls is having extra flavor in the crunch that your typical bread crumbs can't give. Coat it further with flavor using Bread Pan White Cheddar Cheese or Cheese and Onion. It's always good to bring something new to the table and be creative. Don't be afraid to experiment and level up your favorite dishes by going beyond the ordinary and using staple favorite snacks you can find at home like Oishi Bread Pan and Pillows. 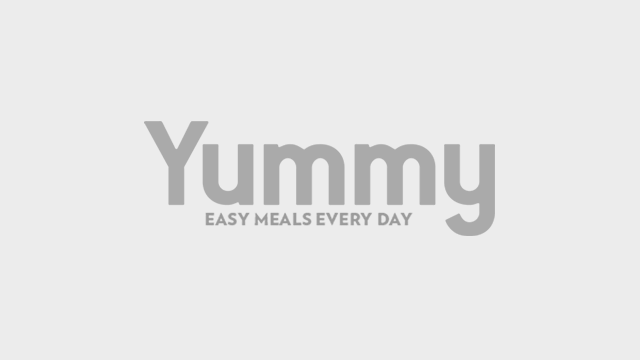 This article was created by Summit StoryLabs in partnership with Oishi. Yes, This Juicy Lechon Only Costs Less Than P100! You Have To Try This Delicious Bibingka With Ube!